Situated in north-eastern Lisbon, this district next to the Tagus estuary was once mainly industrial, until it was chosen as the location of the Expo'98 World Exhibition and given a facelift. 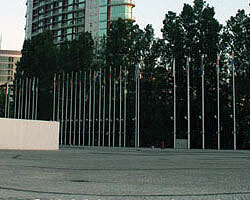 Now called Parque das Naes ("Nations Park"), the old Expo grounds is one of the city's most modern districts. Recent developments in the area include the shopping centre Centro Vasco da Gama, the International Fair of Lisbon, the enormous Oceanario de Lisboa, and several modern hotels and residential and office buildings. Sometimes still called "Expo" by locals, Parque das Naes offers excellent infrastructure and attractive real estate prices.